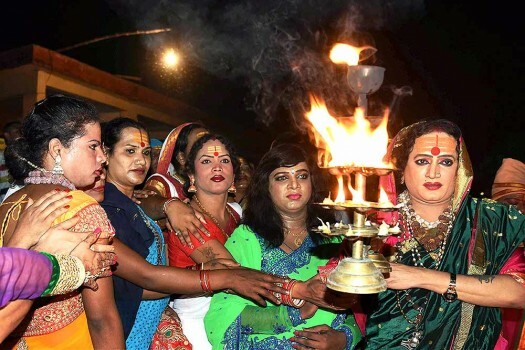 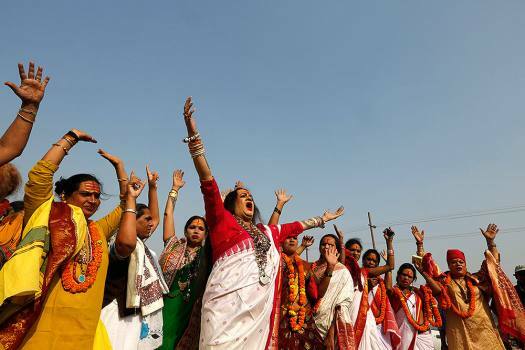 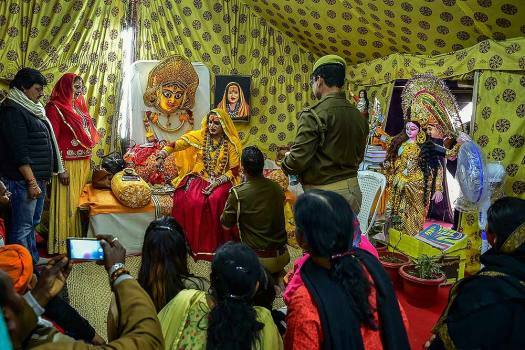 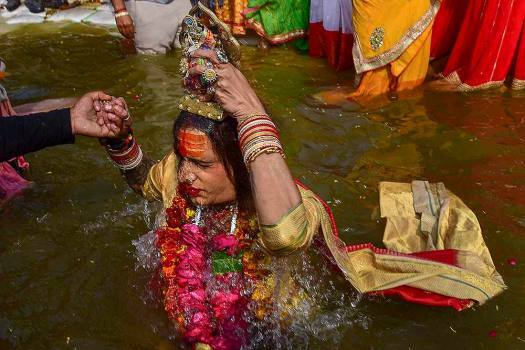 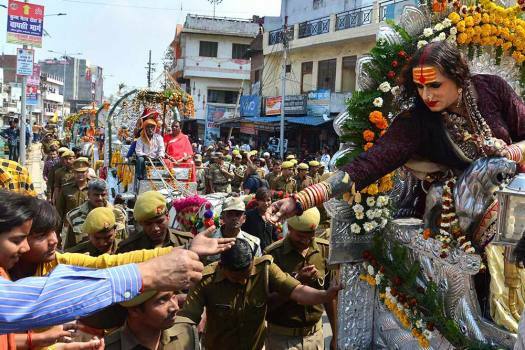 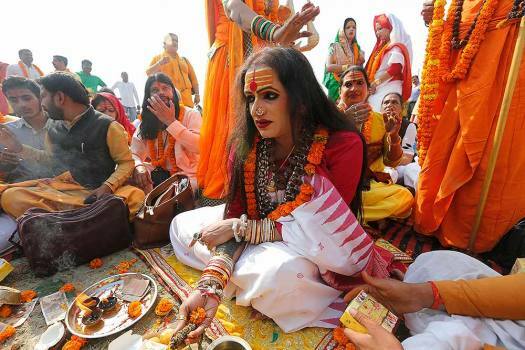 Lakshmi Narayan Tripathi, center, who heads an order of Indian transgender seers along with her followers performs rituals ahead of Kumbh Mela in Allahabad. 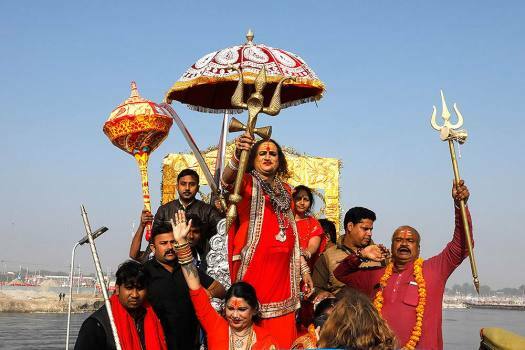 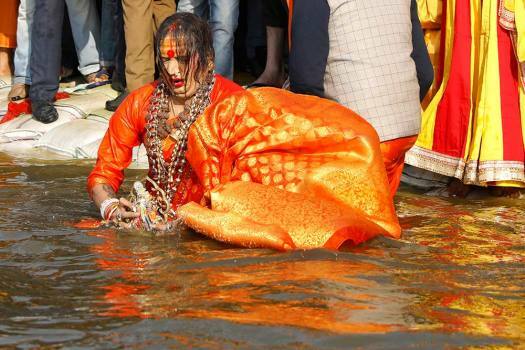 Kinnar Akhada chief Acharya Mahamandaleshwar Laxmi Narayan Tripathi at the unveiling ceremony of a Kumbh Smarika for the upcoming Kumbh Mela festival 2019, in Allahabad. 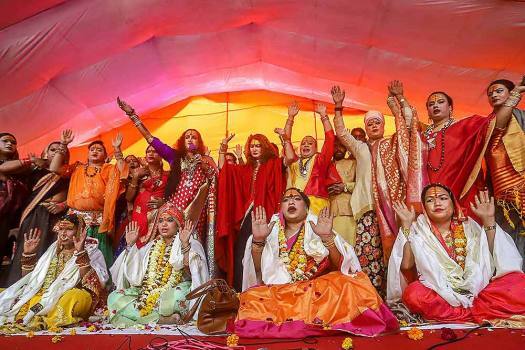 Mahamandleshwar of Kinnar Akhara Laxmi Narayan Tripathi along with Sadhus of Kinnar Akhara performing evening prayer at the bank of River Yamuna in Allahabad. 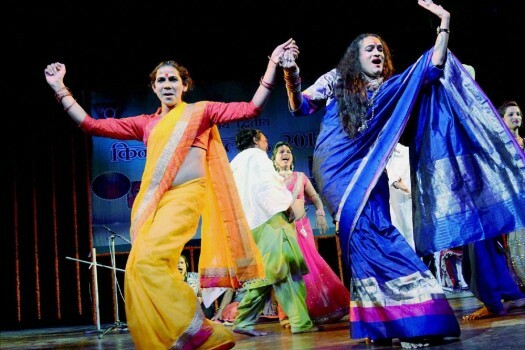 Transgender activist-turned-Acharya Mahamandaleshwar of Kinnar Akhada, Laxmi NarayanTripathi (R) performing during Kinnar Mahotsav at Rabindra Bhawan, in Patna. 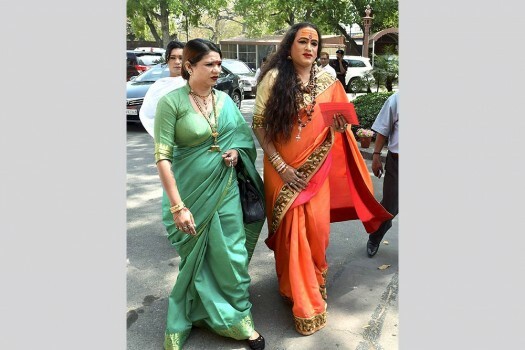 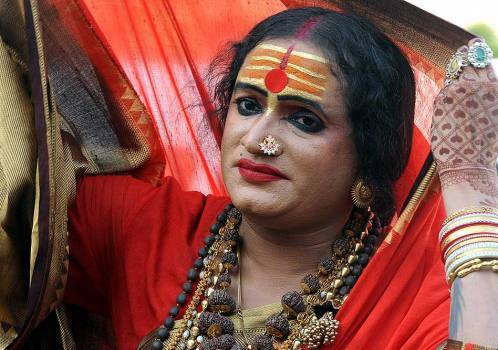 Transgender activist Laxmi Narayan Tripathi arriving at Parliament House in New Delhi.